You are currently browsing articles tagged YucatanMissions. It was a scene from a past generation. Huipiles (a traditional Mayan dress) and guayaberas (AKA Mexican wedding shirts) were on display everywhere you looked. Traditional music, played by guitars, drums, and a an accompanying conch filled the air. The language of choice? Maya. It was Mayan Night at the district missions convention and a time of celebration of the heritage of the residents of the Yucatan peninsula. The church has come far to be able to put on such a display at a major event like this one. Although events like the 2012 prophecies have done much much to help revive an interest in all things Mayan, one does not have to move too far into the past to find negative attitudes toward the Mayan way of life, thinking of it as anachronistic, and those who felt that speaking the language as a sign of ignorance or a lack of education. This embrace of the Mayan culture, therefore, is a sign of just how much these old attitudes have changed. 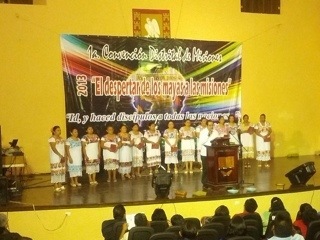 Nevertheless, even though our dress and the principle language spoken called us to remember the past, the subject of the conversation: the unfinished task of the Great Commission, encouraged us to look toward the future and partner with God who is in mission, beyond the borders of the peninsula, even around the world. 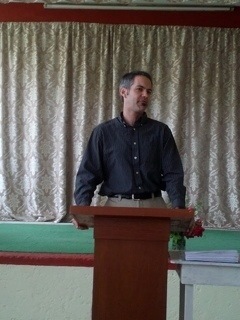 I was privileged to be a part of this latter effort as I gave a conference entitled, “Crossing Cultural Barriers.” In it, I encouraged the Yucatecan church to move past the divisions that separate us from making a worldwide impact through compassionate, incarnational ministry as we unashamedly point our listeners toward Christ. We do this I said, because of God’s universality, the mandate we have been given, the blessing that comes from obedience to that calling, and because of the fact that God is already there working among the various cultures, calling them to repentance and faith in Him. 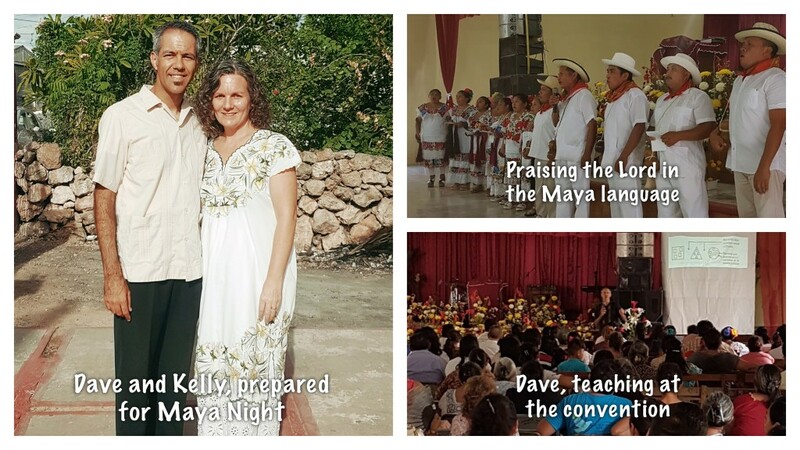 The conferences, therefore, as well as the cross-cultural missionaries present and the calls for involvement in mission on a local, national, and international level were an encouraging sign of this traditionally Mayan culture’s desire to be involved in God’s redemptive plan. The second evening showed just how strong it was. Two songs into the service, the power went out to the whole block. 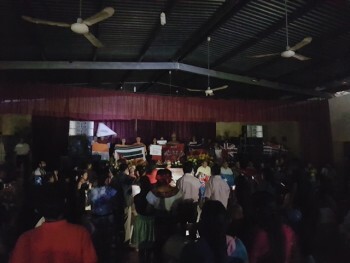 The service continued without missing a beat, and the people, without even fans to keep them cool, stayed to witness a missionary parade illuminated by cellphones and a sermon encouraging short term missions involvement amplified by a gas powered generator. In all, it was a wonderful event. Upon reflection, I see it as a blend of gratitude for a culture that God has redeemed and an affirmation of the increasing role that this culture must play in God’s worldwide mission in the years to come. Can the Yucatán be a Force in Missions? Traditionally, missions has been the realm of those of White, Anglo-Saxon descent. The ranks of missionary heroes are full of names like Hudson Taylor or Jim Elliot. However, Latino, Chinese, or African names remain remarkably absent from such lists, even after decades of work within such nations. We understand these tendencies. Those mentioned were ones who opened up new territories to the Gospel. But, now that those areas have been opened, what of those who have been reached? Do they have a responsibility to share in the burden of World Evangelism? Jesus seemed to think so. His missions strategy was the original Pay it Forward plan. “Freely you have received, freely give” (Mat. 10:8). He expected his fledgling disciples to pass on what they had learned from Him, and he commissioned them to engage in that worldwide effort from the get-go (Acts1:8). Still, while some have answered the call, actually reaching the country of their calling is a tremendous challenge. The reality here in Mexico is that, although missionaries are responding, the church as a whole remains largely non-committal in regards to missionary responsibility. This is dangerous, especially as unreached areas close to those fitting the traditional missionary profile. What is the goal of these efforts? It’s to encourage our churches to feel the responsibility of missions and to sense the empowerment that Christ has given to all his disciples regardless of nationality. We believe that the Yucatán can be a force in missions. Pray with us to that end, and, maybe someday, we’ll read of a Norma Uitzil, or a Lidia Pompeyo among those lists of missions heroes. Blessings on you as you stand with us in prayer! “Hermano, ¿podemos hablar un ratito?” were Bernice’s words. Something was clearly bothering her. Berenice was one of my students in my Missions class. She was troubled because the theme had confirmed an idea that God was revealing to her and her husband, Angel. “Are we crazy?” she asked. She wanted to know if it was right for them to feel led to go to another place. She wanted to know if it was OK to leave her home, her extended family, and her church. She asked if I could give them advice. I prayed with her and encouraged her to be attentive to the voice of God. He did not fail to speak. Just a week ago, Kelly and I met with Berenice and Angel. At the meeting, they shared their story. 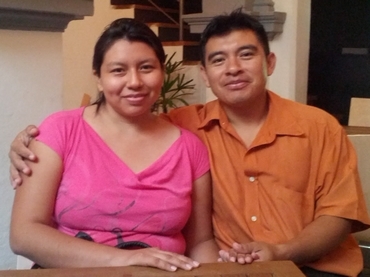 They related to us how they had been called to minister in Guerrero, in a village whose name they had never heard. They told us how they had taken steps to dismiss their impression only to have it confirmed time and again, but never more intensely than after our previous conversation. We shared our own experience with them, prayed with them and encouraged them, but it was obvious that no convincing was needed. God is doing his work. They’re now preparing to take the next step in fulfilling the vision. During this Thanksgiving holiday, I have a reason to be grateful. I’m grateful that He calls men and women to follow Him although their culture would have them stay at home. I’m thankful He still confirms His word, even in the most unlikely circumstances, and I’m glad that He’s allowed us to be a witness of it here in Yucatán. 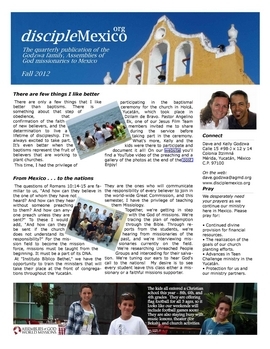 The Fall Newsletter has been Uploaded! How does missions become an intrinsic part of the church? By teaching it from the beginning. Hit the link here or click on the picture to find out how we are making that happen in the Yucatán! While you’re there, don’t miss the rest of our latest quarterly update from the field!